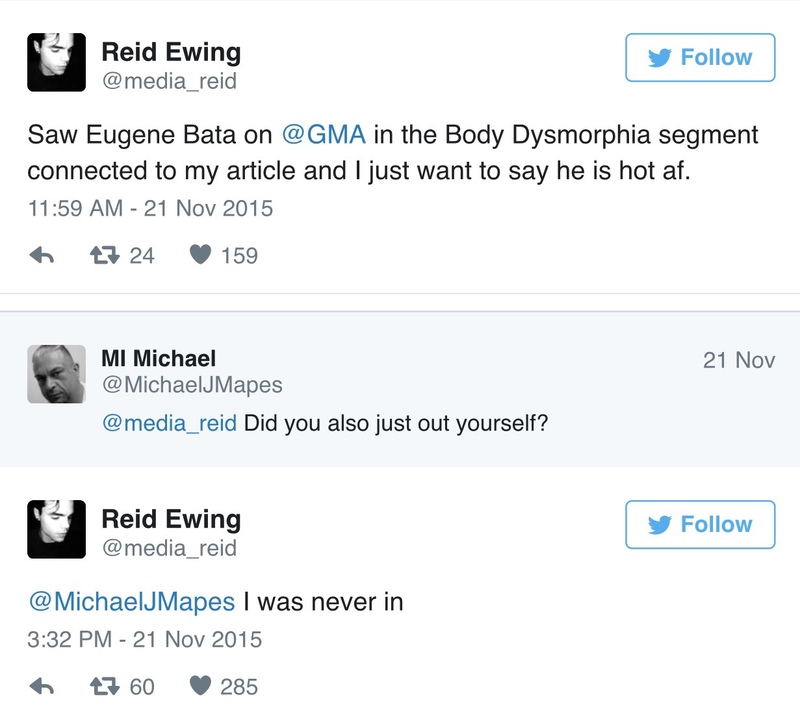 Reid Ewing, best known for playing Haley’s dumb, pretty boyfriend Dylan on “Modern Family,” quietly came out as gay on Twitter just after publishing a first-person account of his experience with body dysmorphia and plastic surgery. Welcome to the club, Reid. 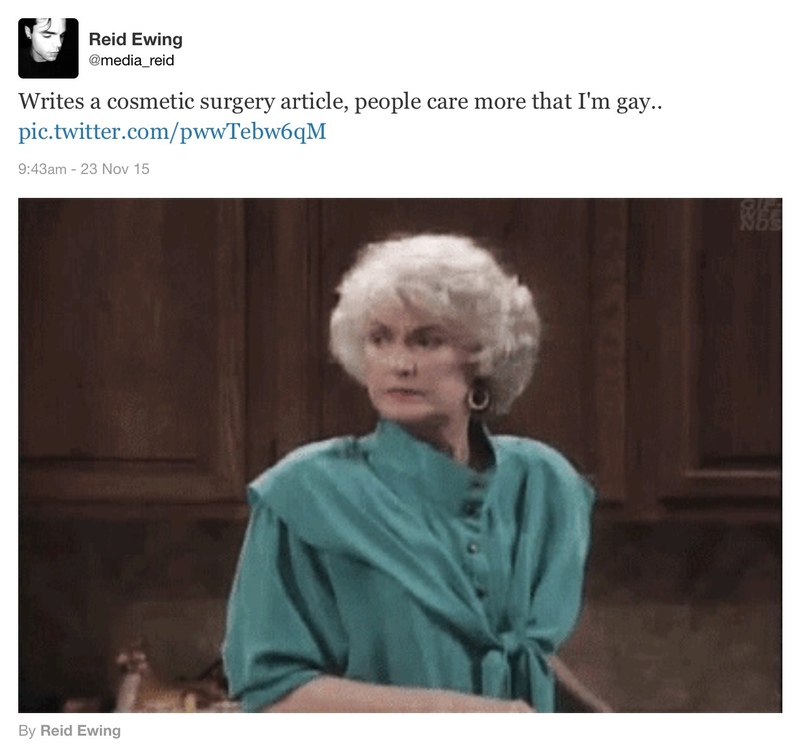 Tags: featured, gay celebrities, Reid Ewing. Bookmark the permalink. Previous post ← Who’s Up For a Nooner?